It would be unfair to the pioneers of Pakistan Air Force for not acknowledging the service they rendered to the newborn nation. Most of these unsung heroes, toiled relentlessly on an arduous task to set the foundation of an air force that in the years to come, would be reckoned as one of the best in the world. Semi trained, ill equipped and faced with an enemy much larger in size, they worked with great zeal and fervor, often faced with a daunting task of keeping their flying machines aloft.These men came from different air stations of RIAF, some battle hardened others novice in their trade, converged on to their pre-designated reporting points in their homeland – Pakistan. Most of them may have already departed to the heavenly world and a great deal of history gone with them. And those who are still around may be living in oblivion and also not in a state of health to be able to contribute to the purpose of documenting and immortalizing their deeds.This section is dedicated to the men who raised RPAF from its infancy to shaping it into a formidable force. It is to serve as a feat of history for the men and women currently on the PAF roll, and a shining path for the new generation of aspiring technicians, engineers and flyers. 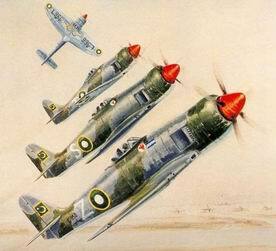 This is a meager attempt to pay glowing tribute those pioneers of Pakistan Air Force.